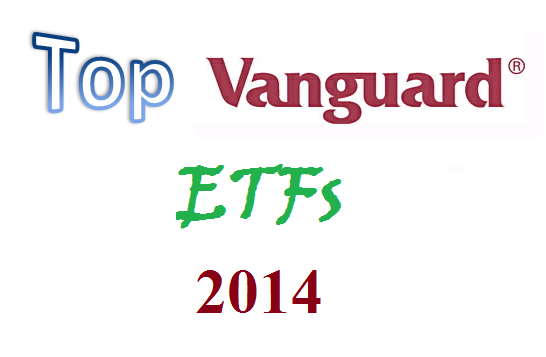 Vanguard Industrials ETF invests mainly in stocks of industrials sector companies. This index sector fund has a low expense ratio of 0.14%. With total net assets of $1.72 billion, this exchange traded fund has a yield of 1.04%. The current share price is $102.36. Morningstar has ranked this top Vanguard ETF with 3 star rating. In 2014, it has year-to-date return of 2.33%. For the past 1 year, it has returned 24.24%. This exchange traded fund has 5 year annualized return of 22.49%. Top 5 stocks in its assets are General Electric Co (GE), United Technologies Corp (UTX), Boeing Co (BA), 3M Co (MMM), and Union Pacific Corp (UNP). Top 2 sectors are industrials, and consumer cyclical. 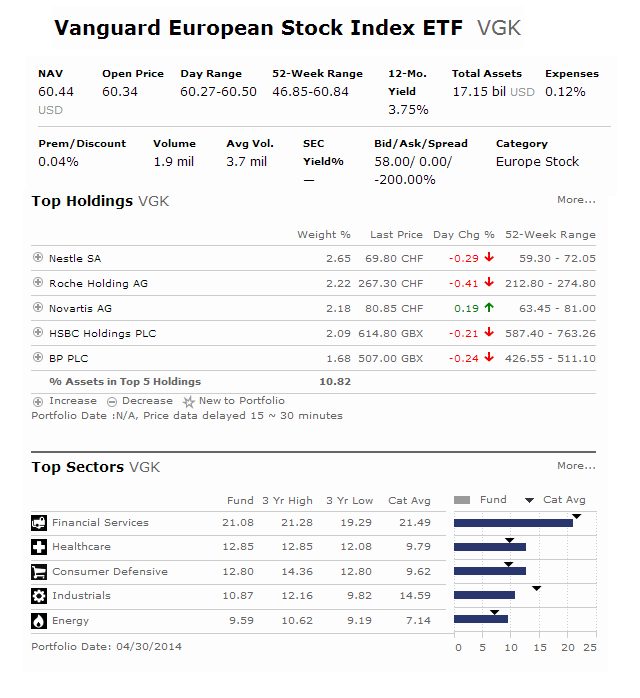 If you are interested in best international stock ETF by Vanguard, you should consider Vanguard European Stock Index ETF. Ranked with 3 stars rating by Morningstar, this ETF invests mainly in companies stocks located in Europe such as Germany, Italy, Austria, Greece, Netherland, the United Kingdom, Spain, etc. This top fund also has a low expense ratio fee of 0.12%. For the past 1 year, it has a total return of 21.15%. This best Vanguard ETF has returned 9.71% over the past 3 year, and 13.19% over the past 5 year. Top 3 stocks in its portfolio are Nestle SA, Roche Holding AG, and Novartis AG. Vanguard Mid-Cap Value ETF uses its assets to purchase a diversified group of midsize value companies. This exchange traded fund has a 12 month dividend yield of 1.47%. This fund has total assets pf $2.74 billion. The expense ratio is only 0.09%. Vanguard Mega Cap Growth Index ETF is another top rated U.S. stock ETF. This stock ETF invests mainly in the largest growth stocks in the U.S. market. This ETF has total net assets of $1.32 billion. With expense fee of 0.11% per year, this fund has 3 year average return of 16.49%. Ranked with 4 stars rating, the top 5 stocks in its holdings are Apple Inc (AAPL), Google Inc (GOOG), International Business Machines Corp (IBM), Coca-Cola Co (KO), and Oracle Corporation (ORCL). Top 3 sectors are technology, consumer cyclical, and healthcare. Ranked with 4 stars rating, Vanguard Short-Term Corporate Bond Index ETF utilizes its assets to purchase high-quality or investment-grade corporate bonds with maturity of 1 to 3 years. This best exchange traded fund has total net assets of $7.98 billion. It has a yield of 1.64%. The current share price is $80.50. 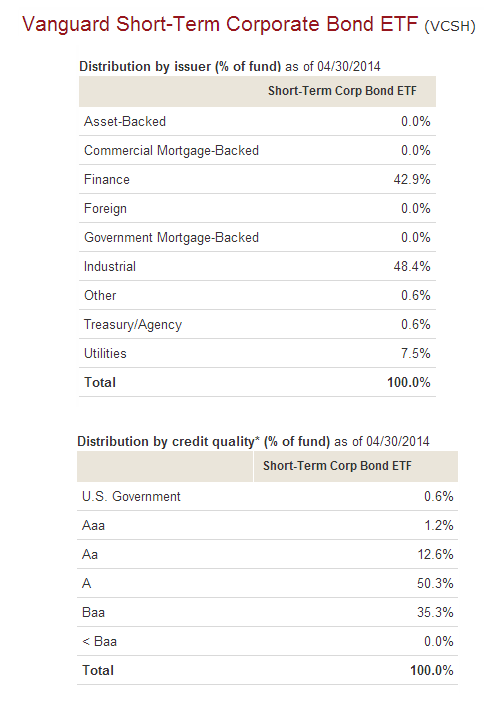 In 2014, it has YTD return of 1.51%. This top bond ETF has 3 year average return of 3.11%. This Vanguard fund has an average effective duration of 2.89 years. Top 2 bonds in its holdings are Verizon Communications, and Merrill Lynch Co Inc Mtn Be.